Union Cab of Madison Cooperative operates 24 hours per day, 7 days per week every day of the year – we never close! 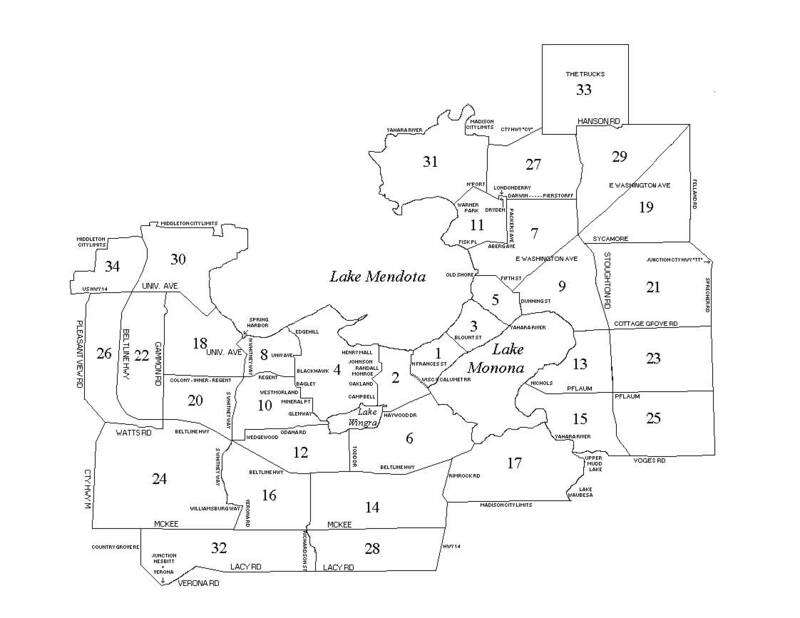 We serve all of Madison and South-Central Wisconsin. 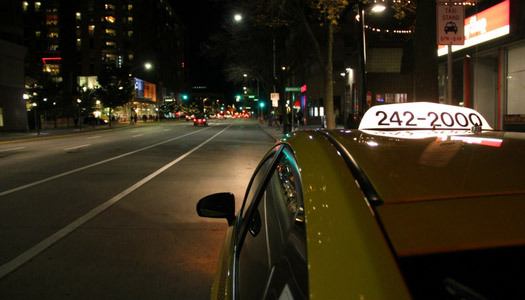 Union Cab provides a no-share direct-metered taxi service. We dispatch with a radio and computer aided technology for fast, reliable transportation. Our drivers undergo an extensive training program to make them the best drivers on the road from their first day. Dispatchers and phone staff come from the ranks of drivers and undergo extra training. Our vehicles are maintained by our professional and certified mechanics. Unless you have made other arrangements with us prior to your trip (call our Business Office at 242-2010), payment is expected upon reaching your destination. We accept: cash, Mastercard, Visa, Discover, and American Express, Union Cab prepaid coupons, available in $20.00 booklets from our business office (608.242.2010). Senior Citizens and people with disabilities receive a 10% discount on coupons. Our drivers do not accept personal, business, or third party checks. Union Cab picks up at the Dane County Regional Airport, Wisconsin Aviation and Middleton. Passengers may choose which taxi they wish to hire regardless of their order in line at the airport. Passengers must pay the airport toll ($1.00). 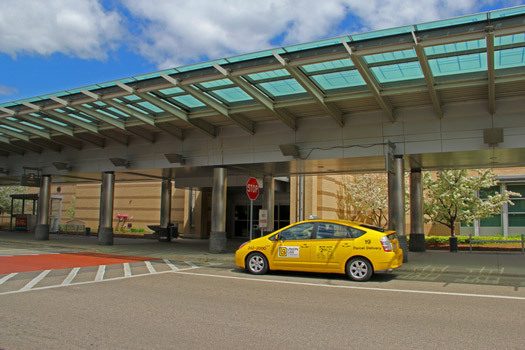 Taxi may only load at the north end of the terminal (Door #7, past Baggage Claim). Taxi drivers may not solicit passengers and may not enter the terminal. Taxi drivers may not refuse service to any reasonable customer. People who use a wheelchair or other mobility device and cannot transfer into a sedan or mini-van will want to use Union Cab’s Accessible Taxi Service (ATS). Since July 1, 2004, we have had accessible service available 24 hours per day, 7 days per week. 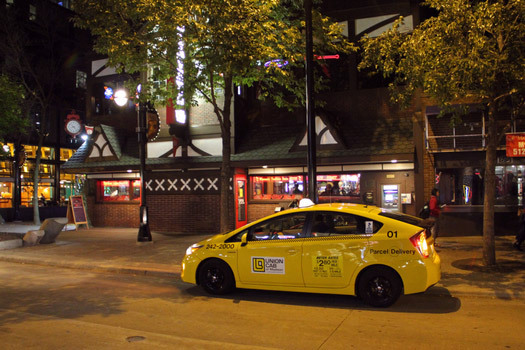 Union Cab is the only Madison taxi company to provide this service. We appreciate advance notice especially during early morning or late night hours. The vehicle specifications meet the minimum standards of the American with Disability Act (ADA). Total weight allowance for passenger and wheelchair combined is 600 lbs. We offer this service as part of our concern for our community and a desire by the City of Madison to develop 24-hour, on-demand accessible service. We have a limited number of wheelchair accessible taxicabs, so we limit the number of reserved rides to allow for demand calls, and encourage customers to allow plenty of time to get to their destination. Charter services are available for bachelor/bachelorette parties, weddings, graduations, festivals or any other event requiring prolonged or specialized service. 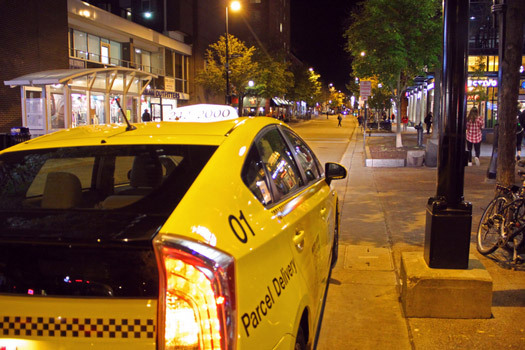 Union Cab will have a vehicle specific to your needs (either sedan, minivan or accessible) at your pick-up location at the time that you specify. In general, we will arrive 5-10 minutes prior to the appointed time. Chartered rides must be set up at least 24 hours in advance and have either a manager or supervisor approval. Due to service demands, we cannot always provide chartered service. We charge an hourly rate instead of the meter with a one-hour minimum regardless of the time used or distance traveled. Please email sales@unioncab.com or call our Operations Manager at (608) 242-2007 for more information and scheduling charter service. 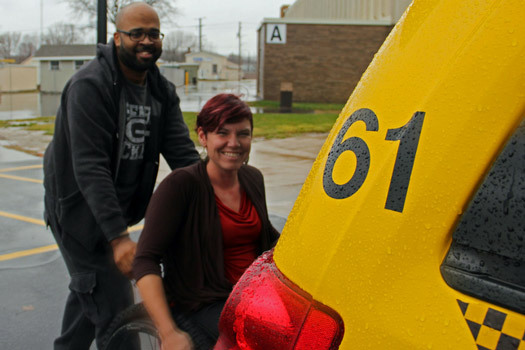 Union Cab offers courier-style delivery service. We process orders faster and more efficiently than overnight delivery services and specialize in orders that need quick turnaround times. Call (608) 242-2000 for a service quote or check our courier rates and our zone map. Packages should be properly wrapped and bundled. Cabs are not equipped to handle excessively heavy or fragile items. Packages should be ready to go when the order is placed. Packages should have their destination clearly marked.